T/Sgt. Ray L. Orr, son of Mr. and Mrs. Raymond Orr, Jean, attended Jean School. Entered Army AC in 1942, trained in Texas, Nevada, Washington and Louisiana. Served in England and Germany. Awarded Air Medal, GCM and Purple Heart. 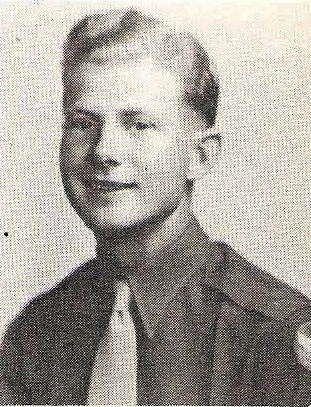 Killed in Action in Germany, 1944.